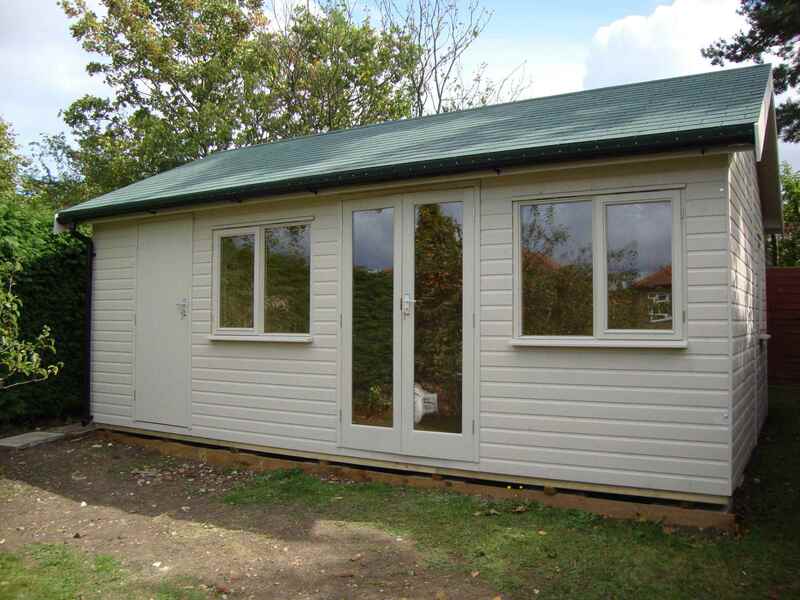 For lining, insulation, door, window and roofing options please see optional extras. 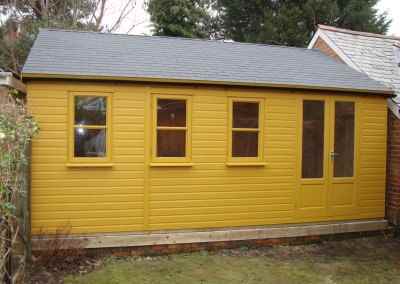 Heavy Duty Workshop 10×8 with Windows in Doors and Painted Finish. 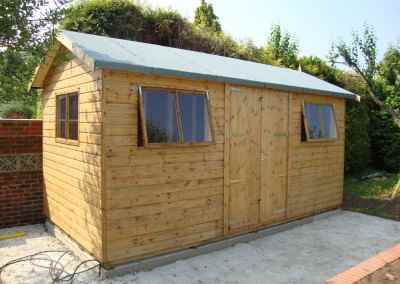 Heavy Duty Workshop 12×10 with Ascot Doors and Plain Windows. Heavy Duty Workshop 19×11 with Pent Roof. 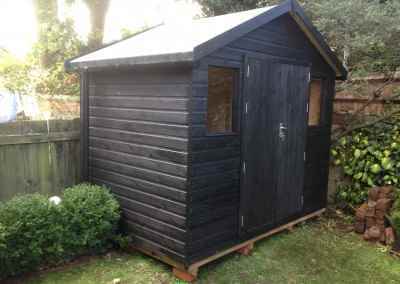 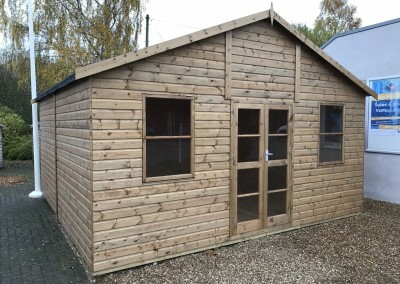 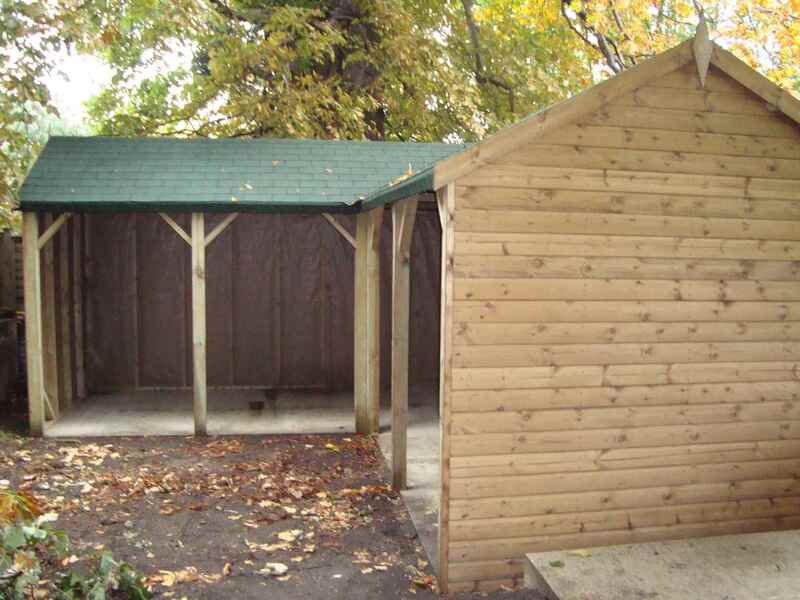 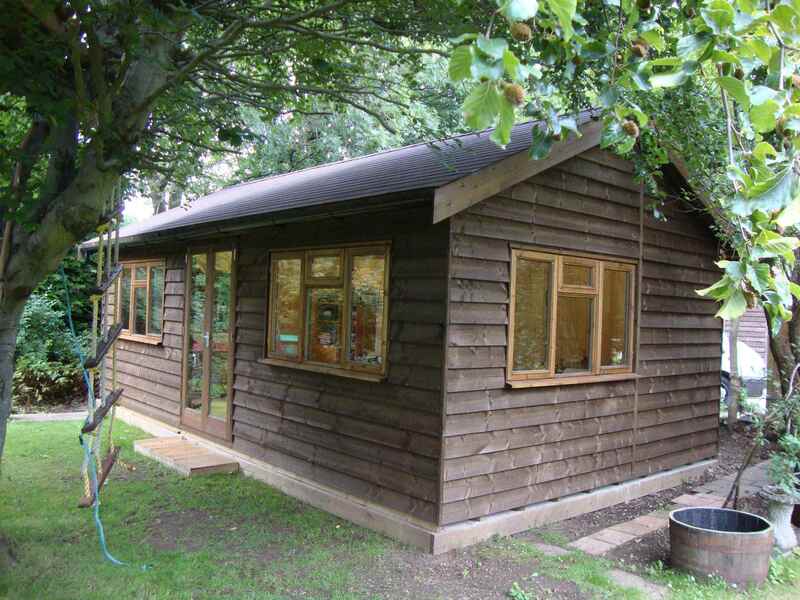 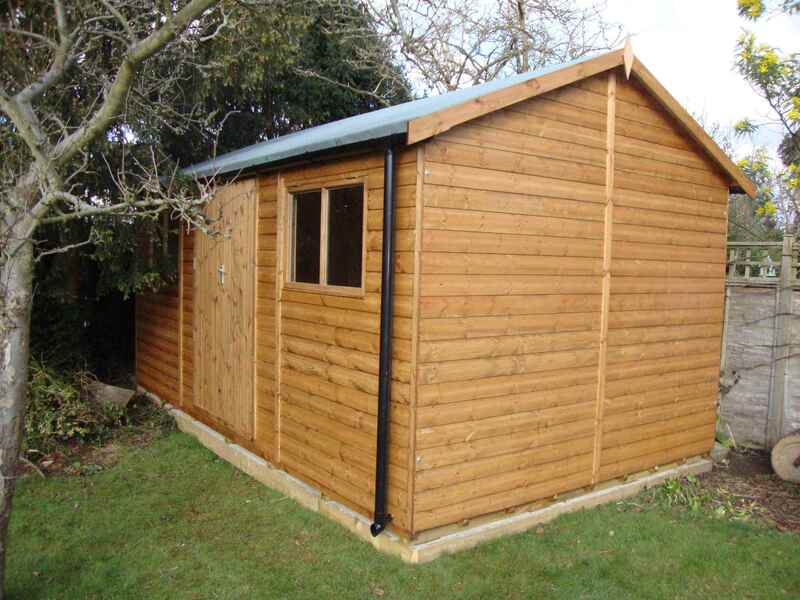 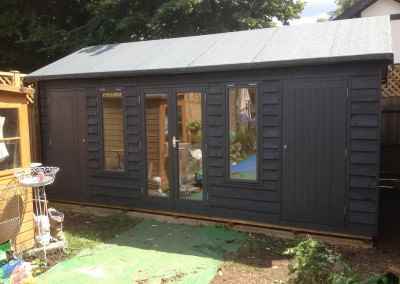 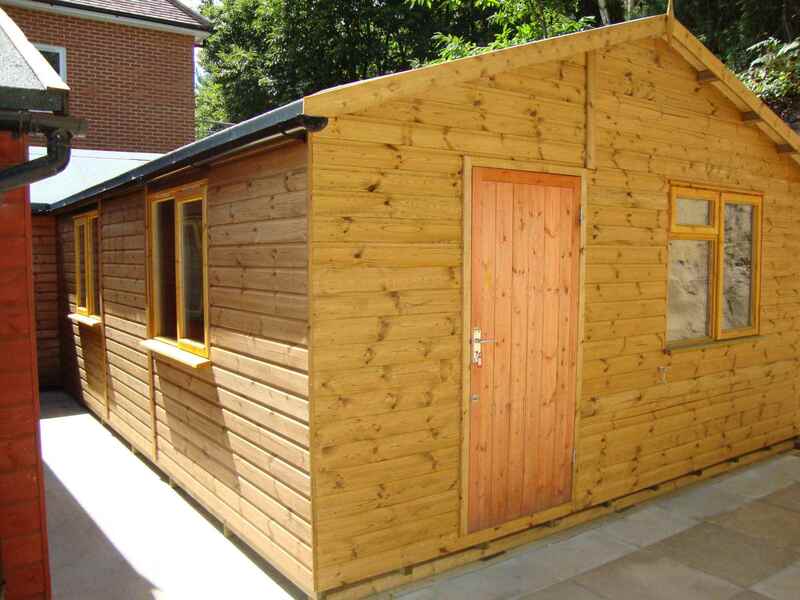 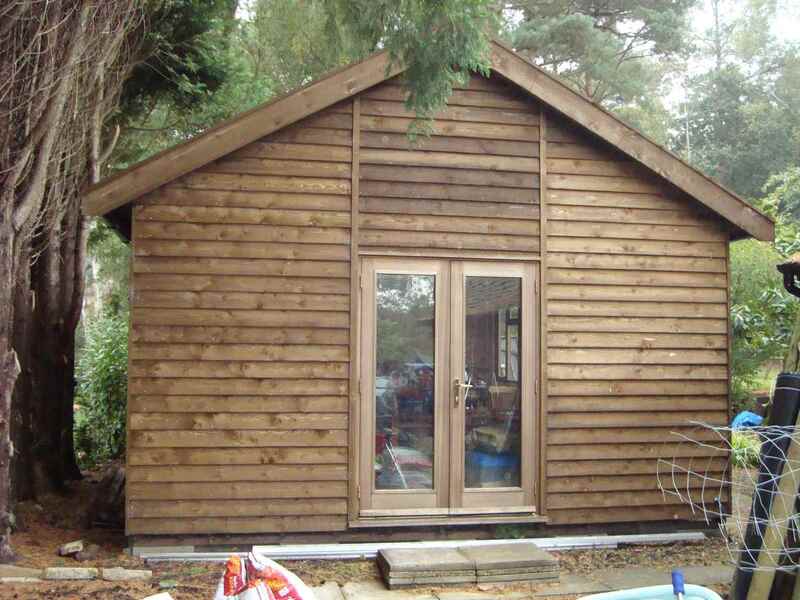 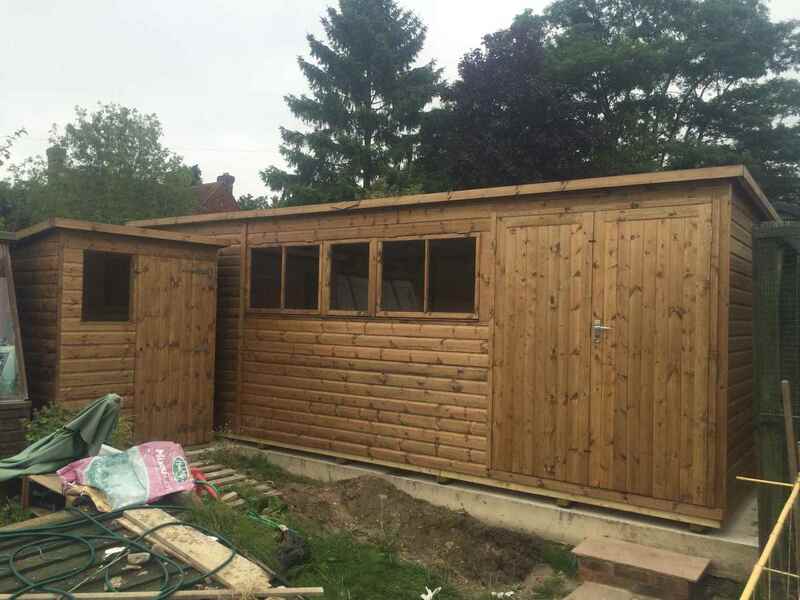 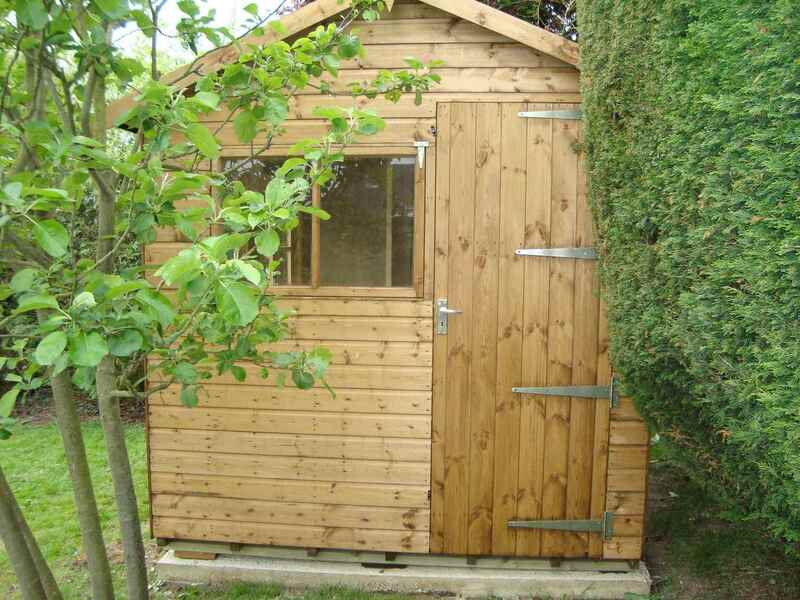 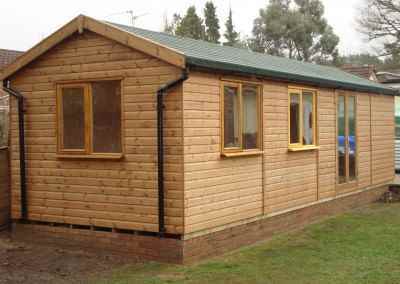 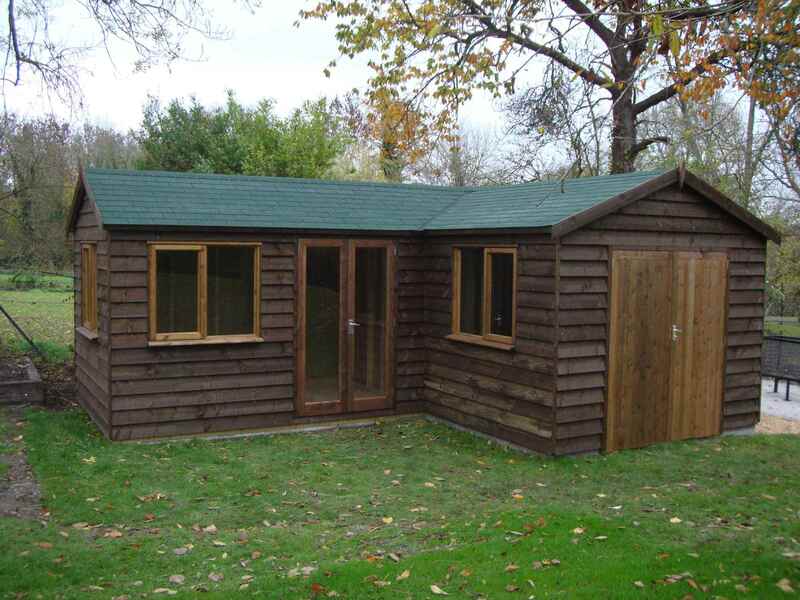 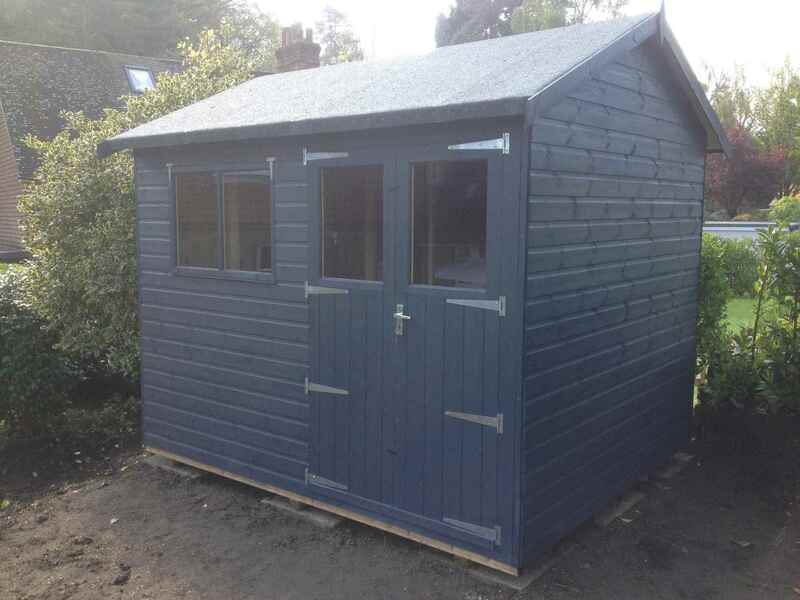 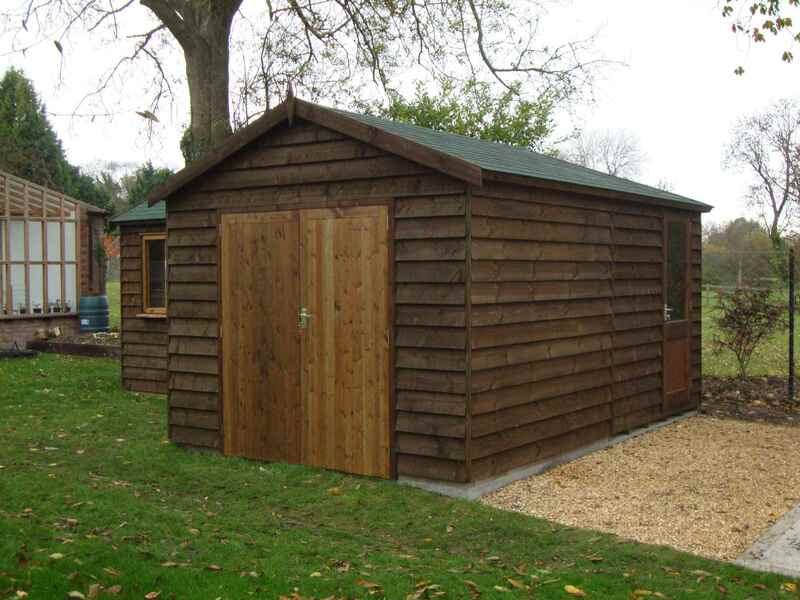 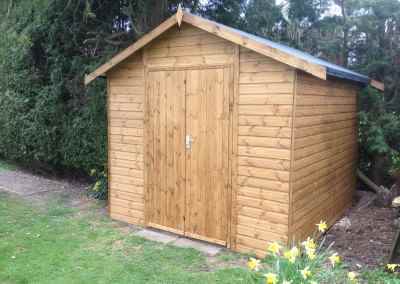 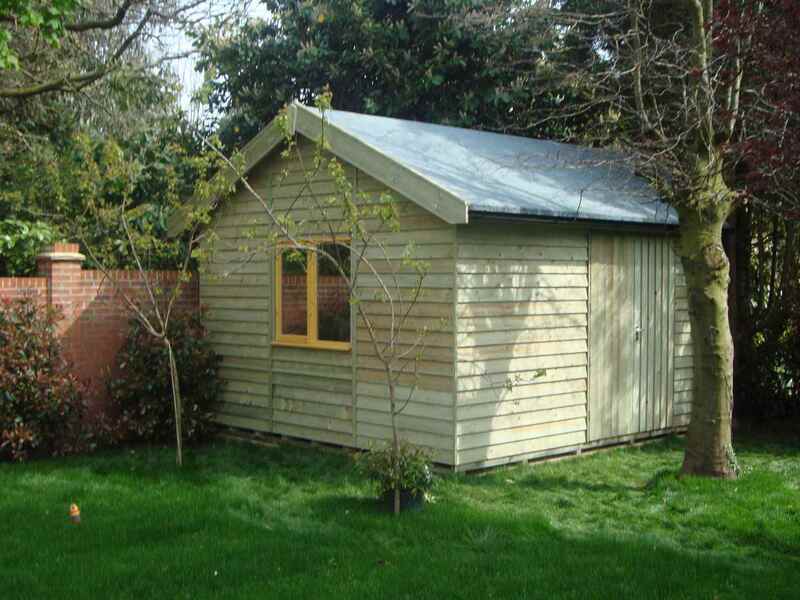 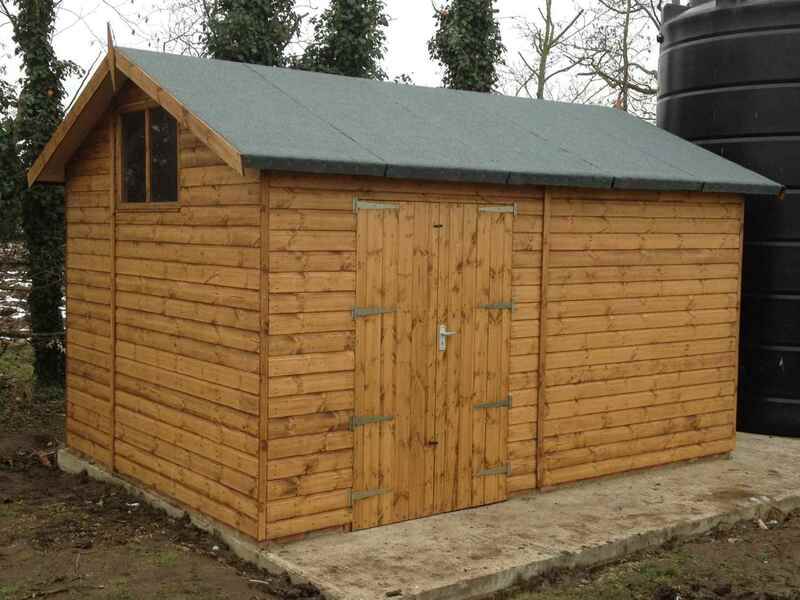 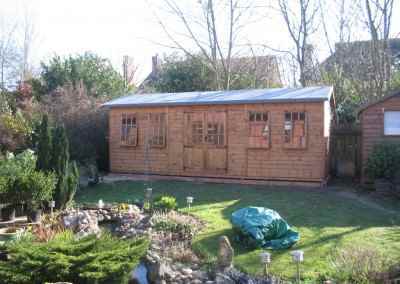 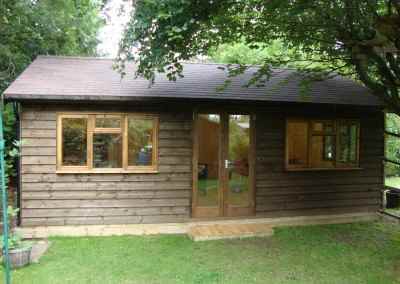 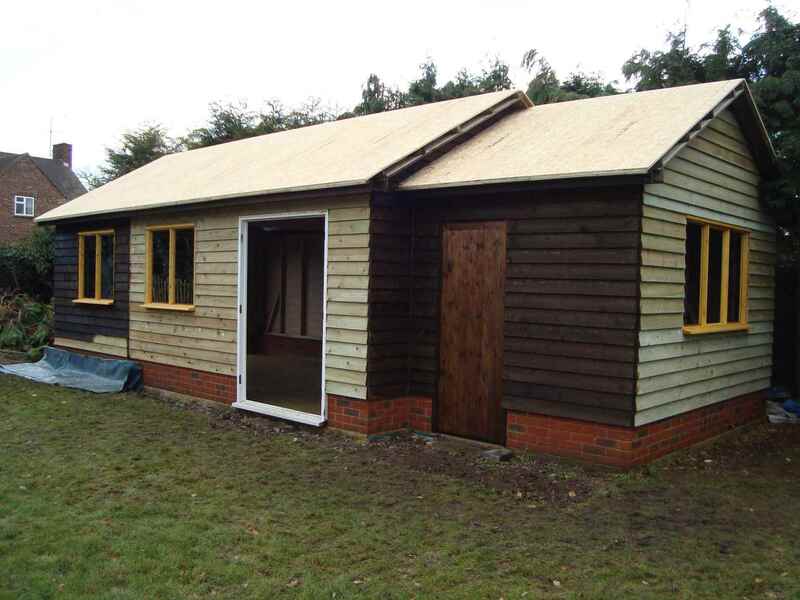 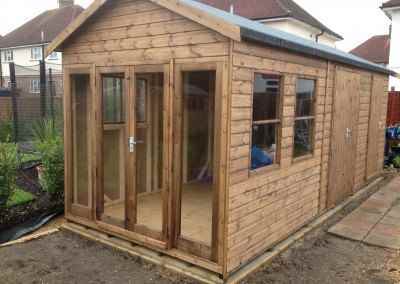 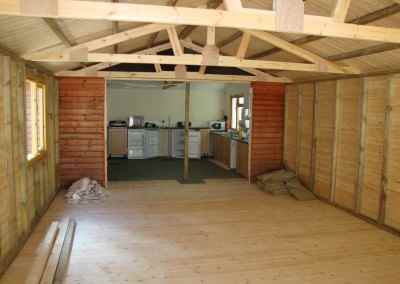 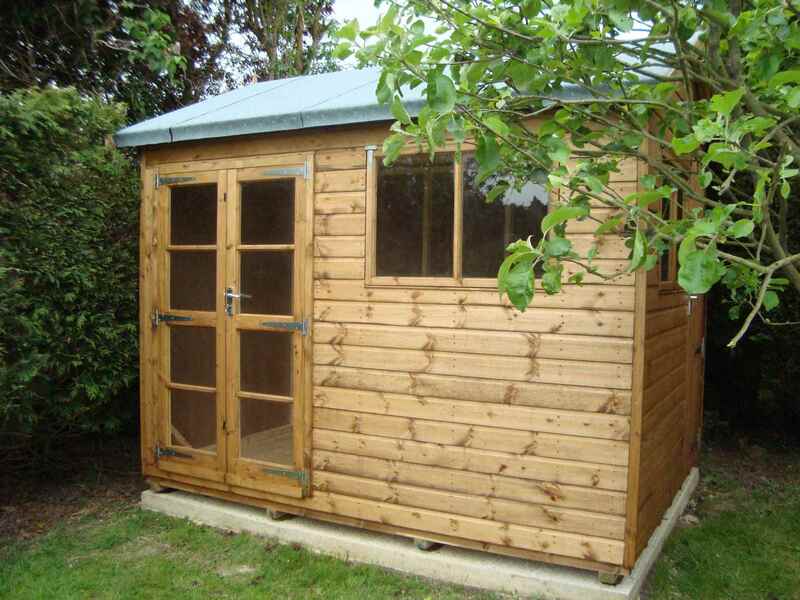 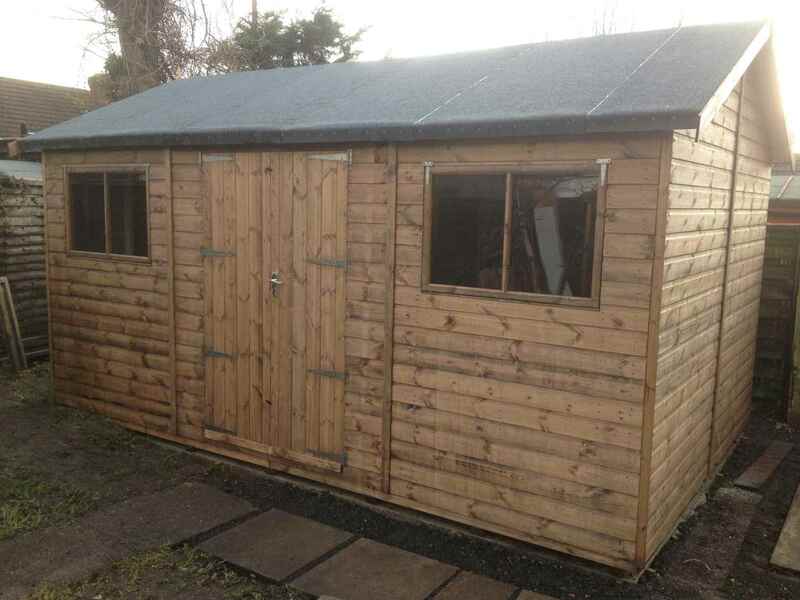 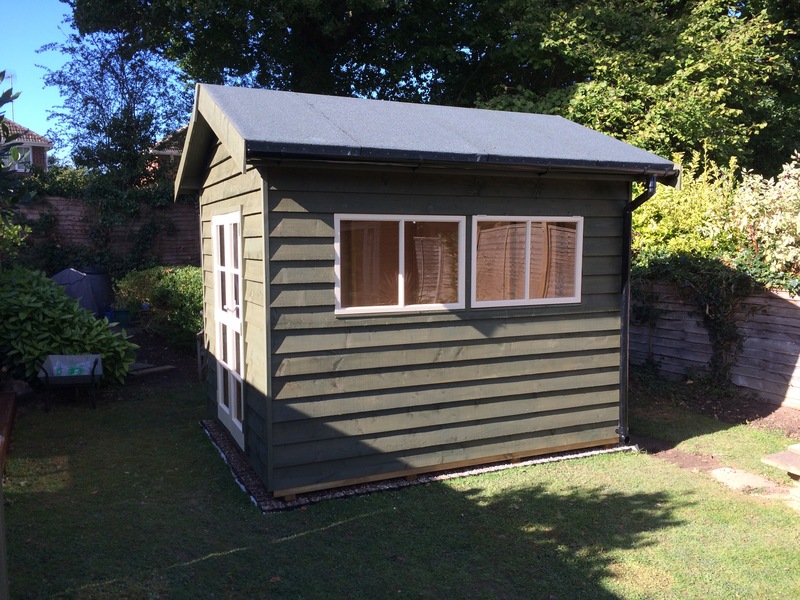 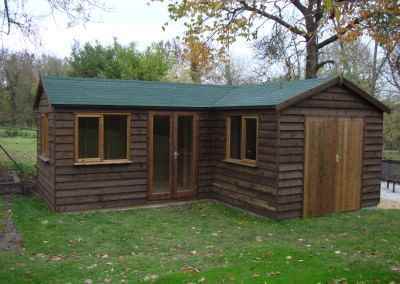 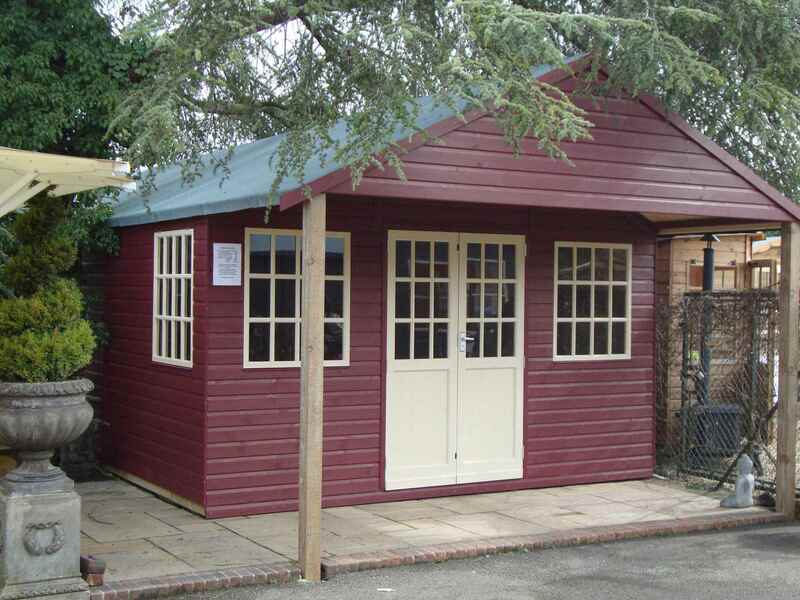 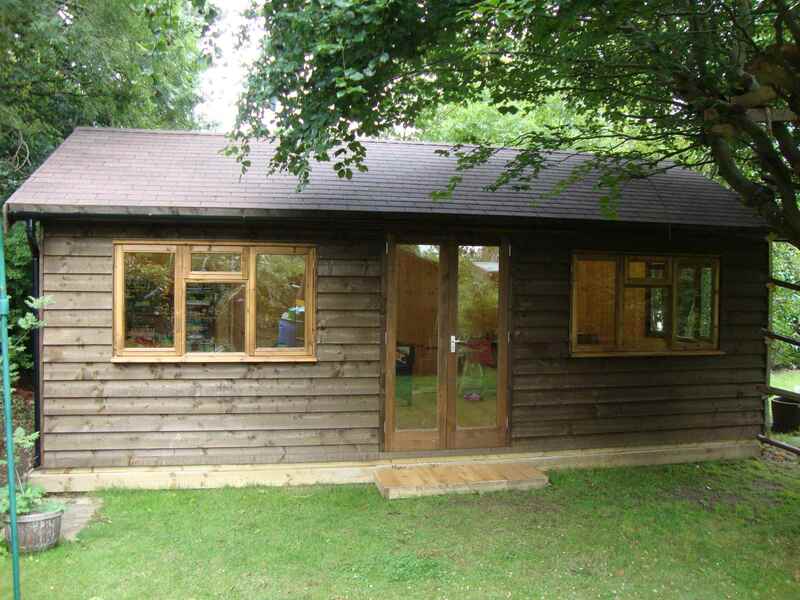 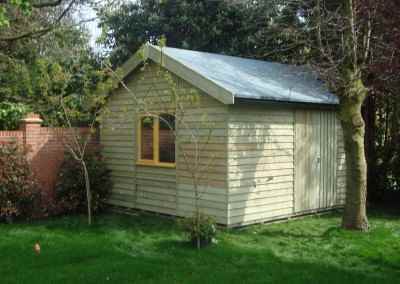 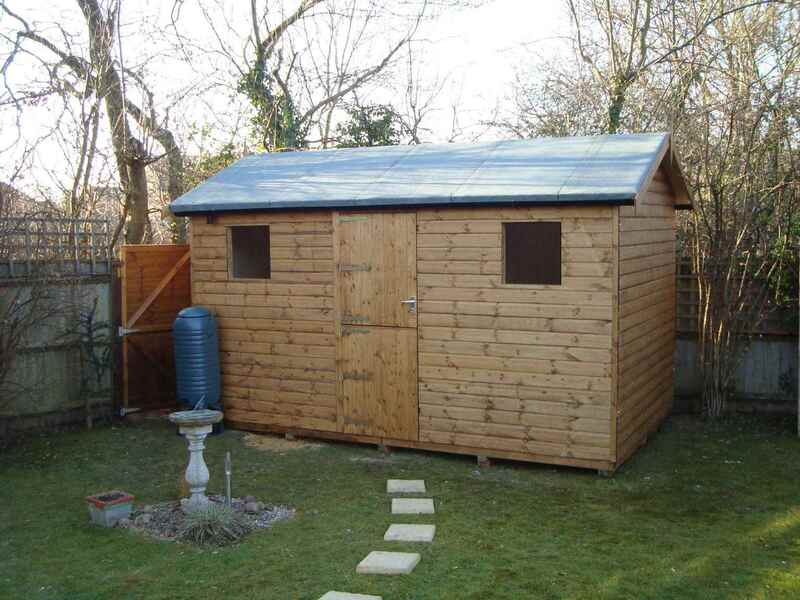 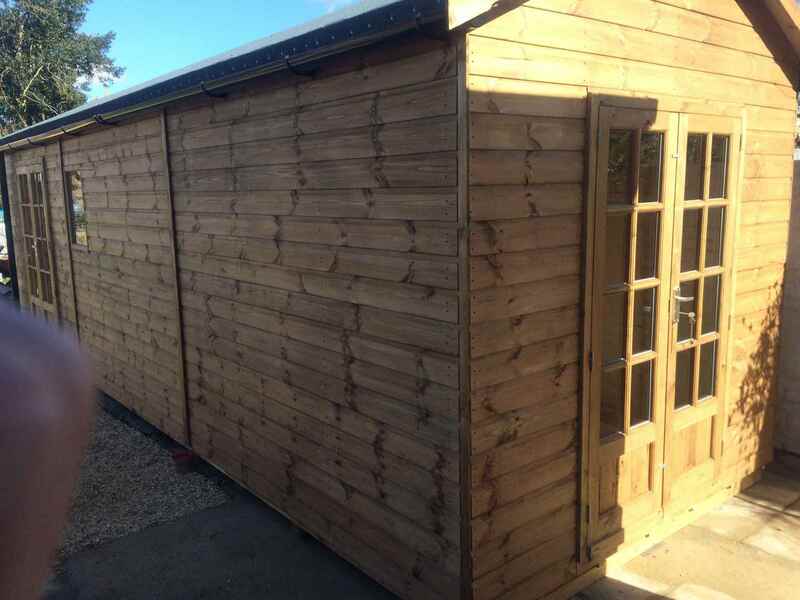 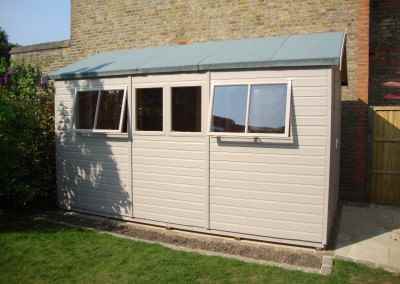 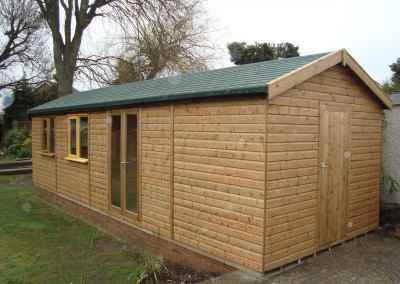 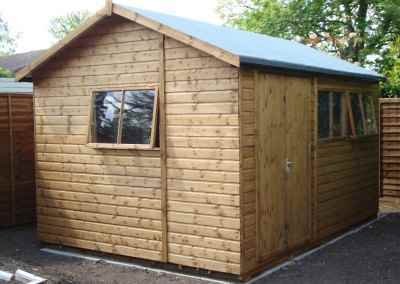 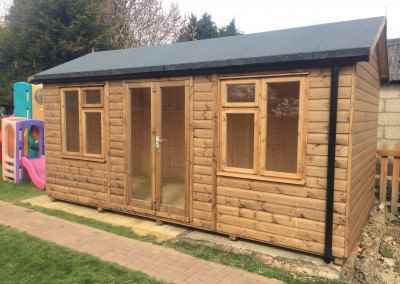 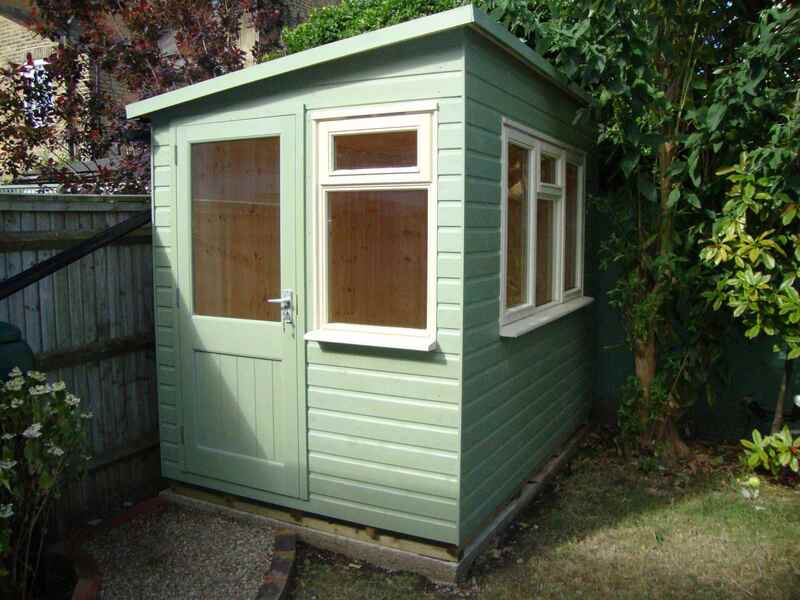 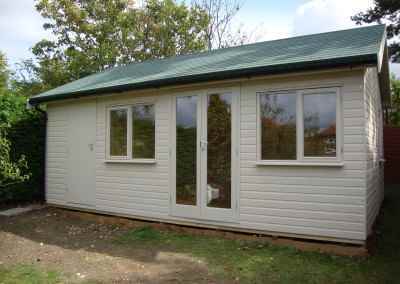 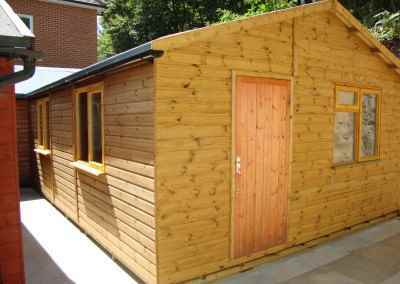 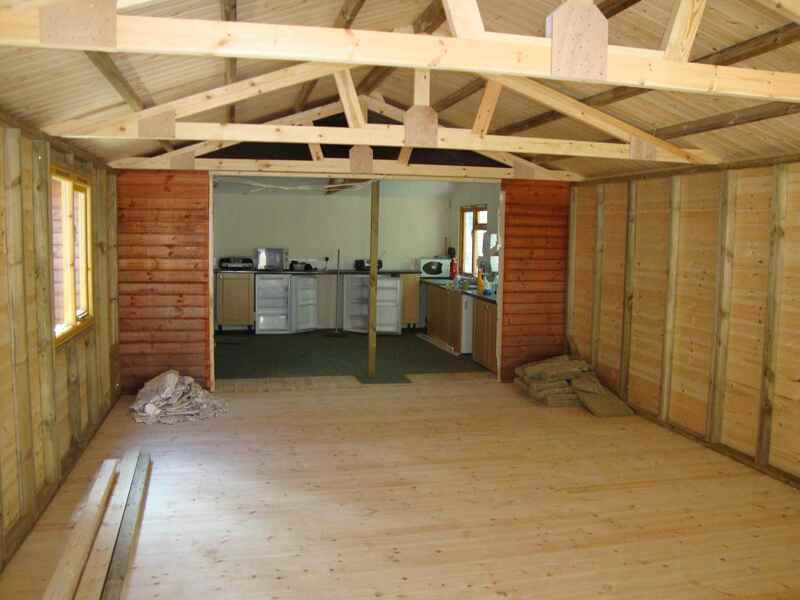 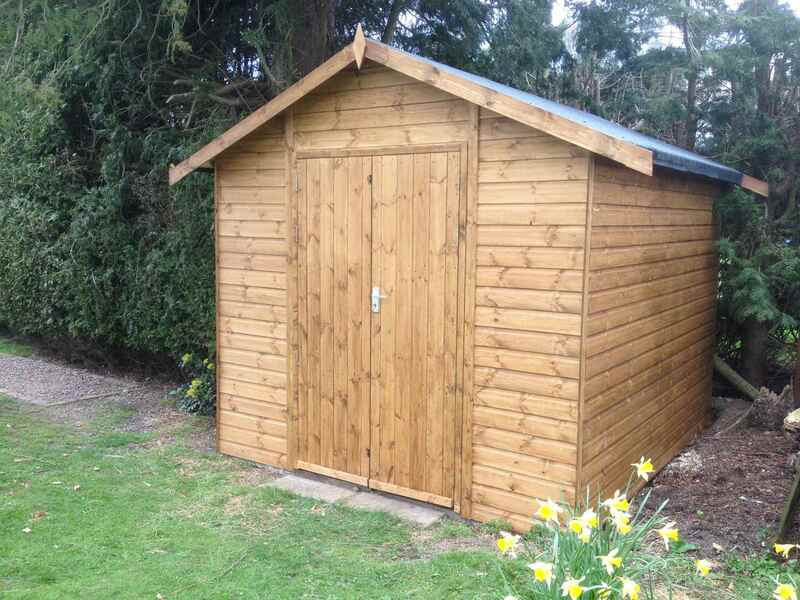 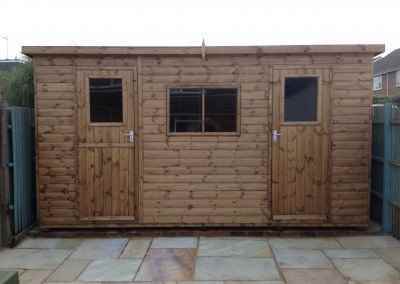 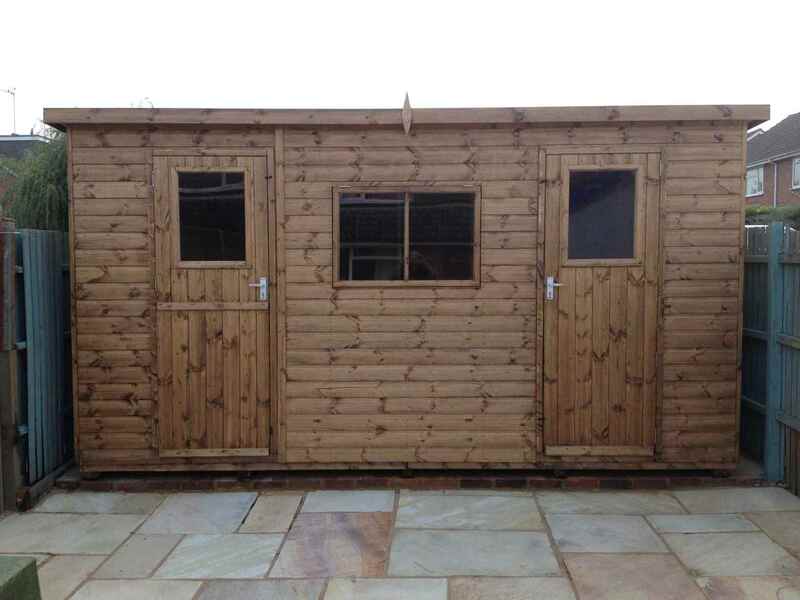 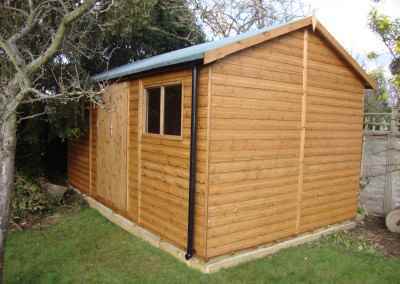 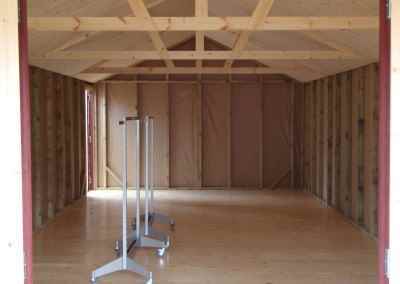 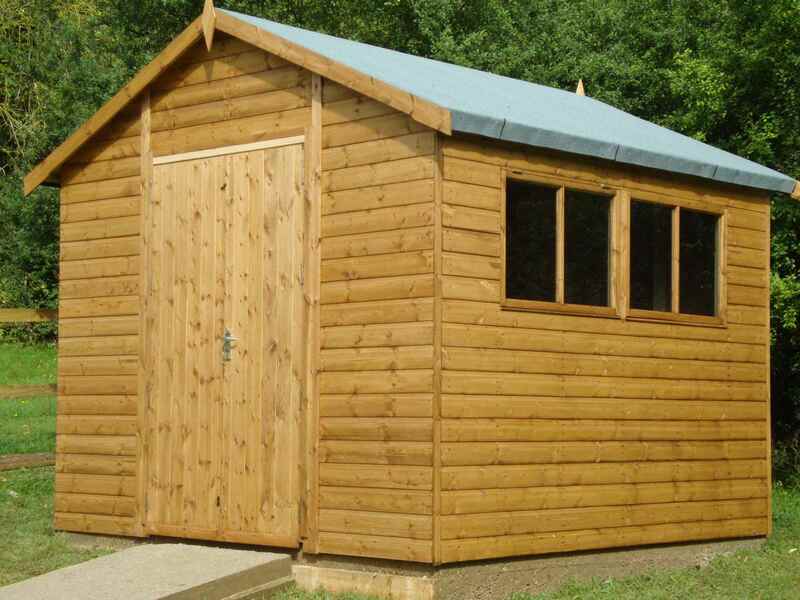 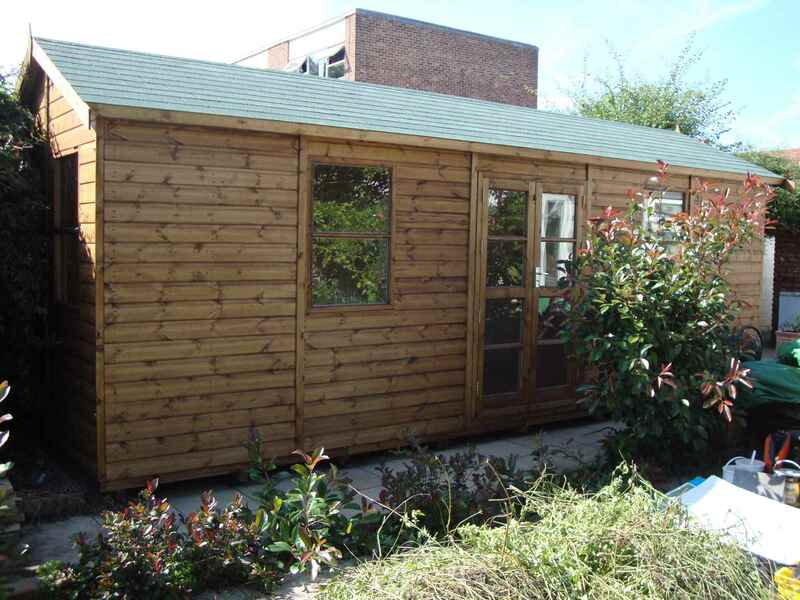 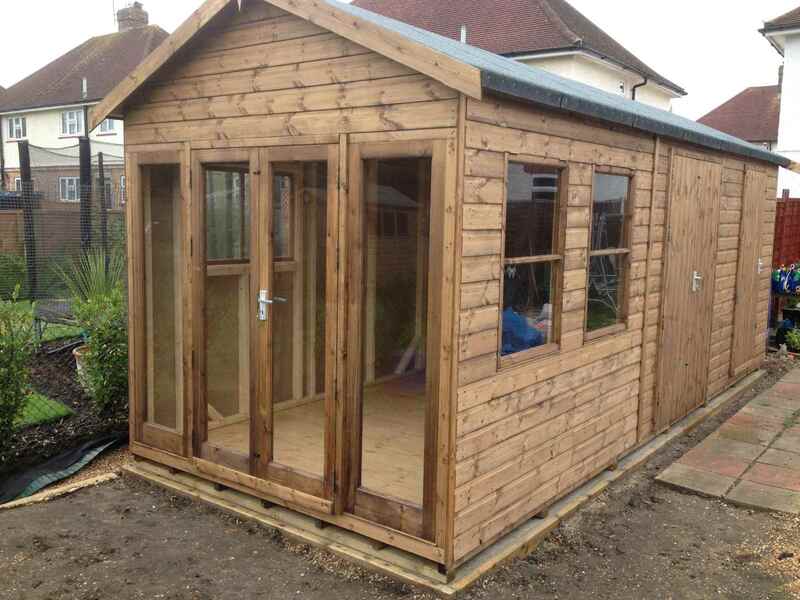 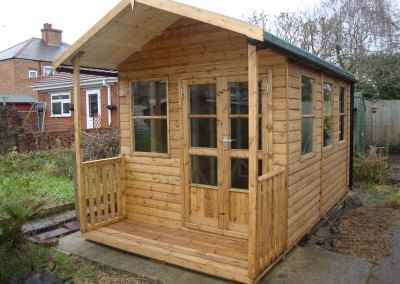 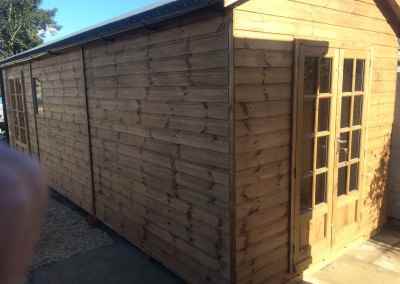 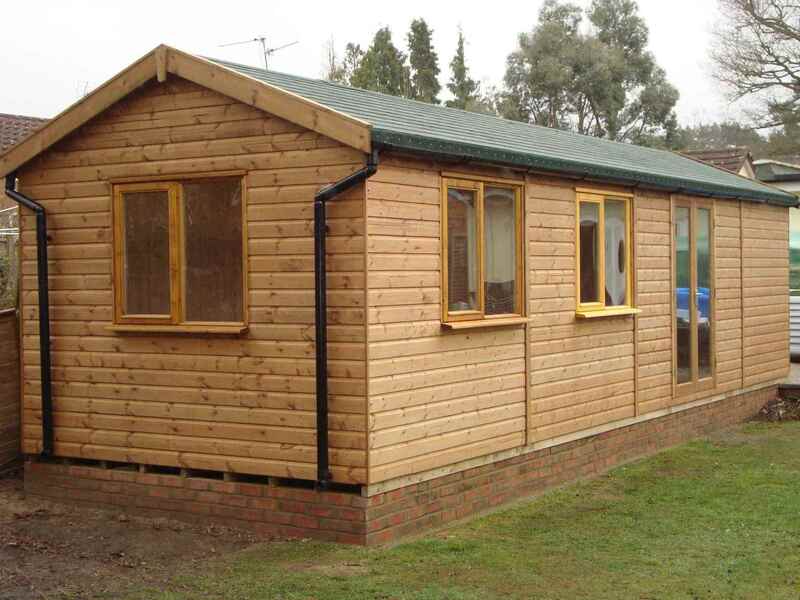 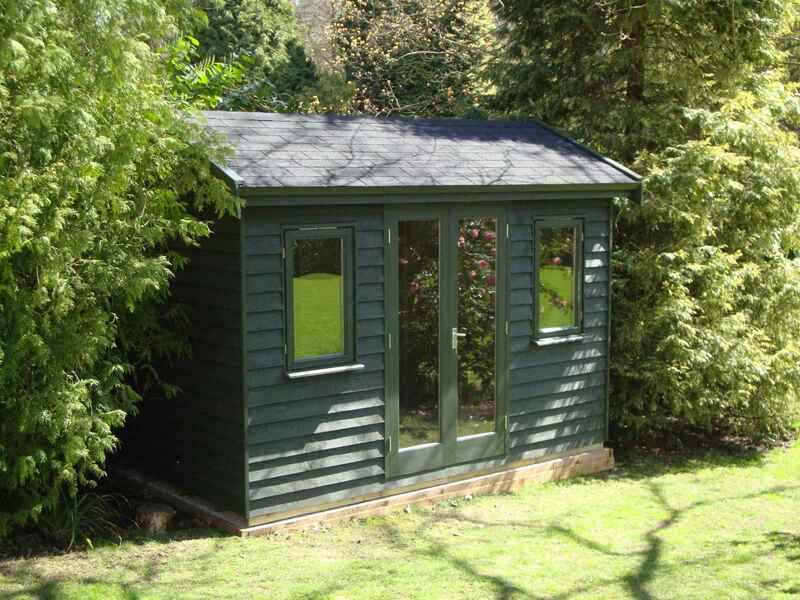 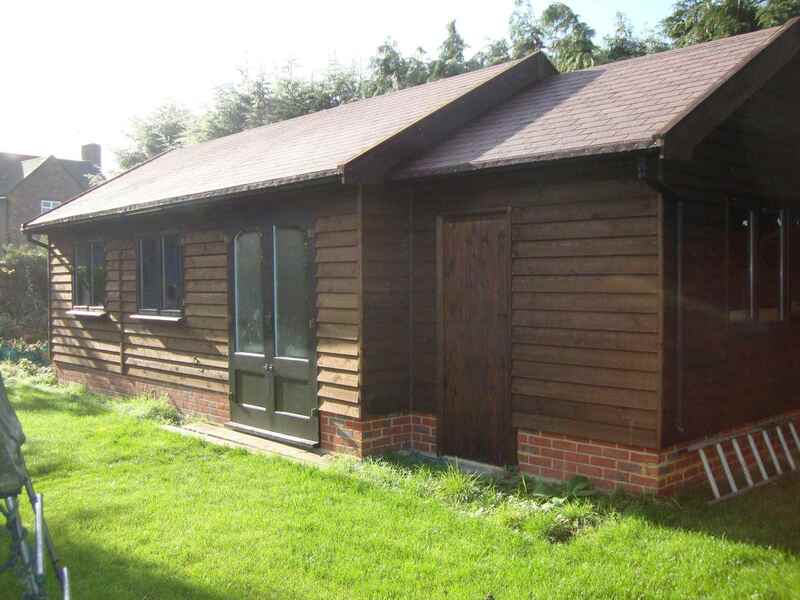 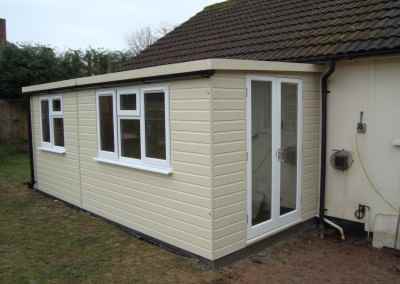 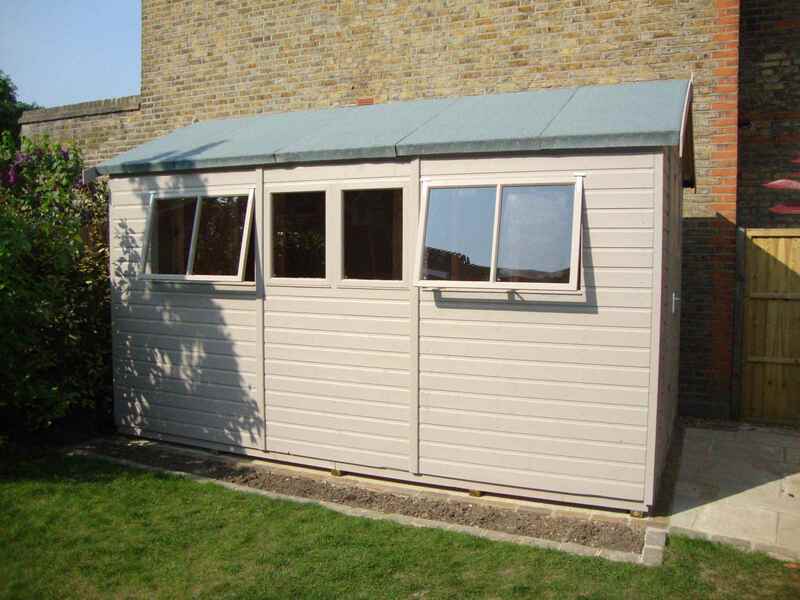 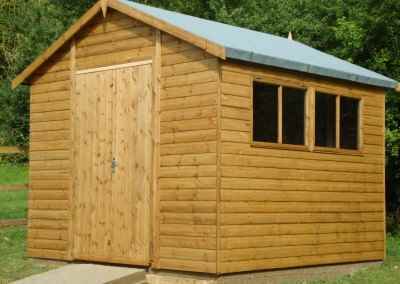 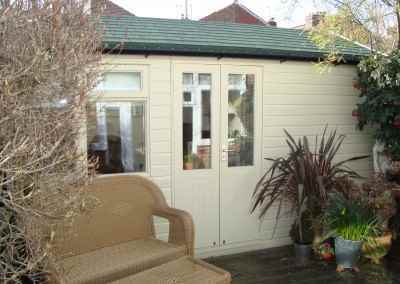 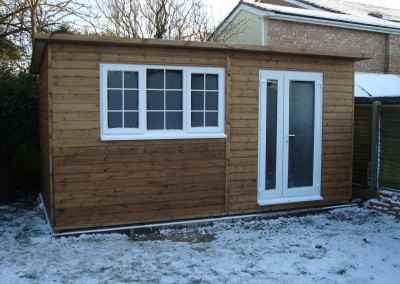 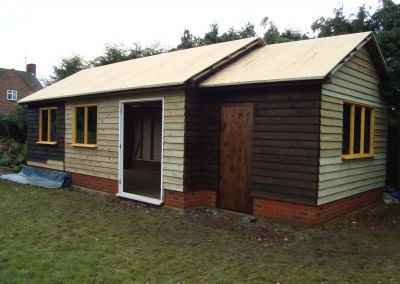 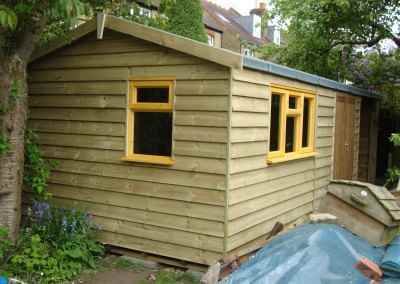 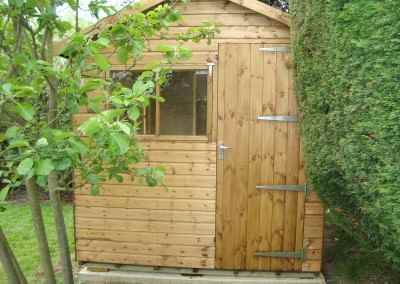 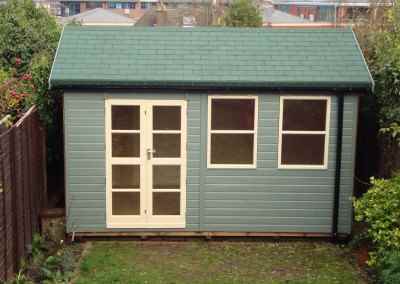 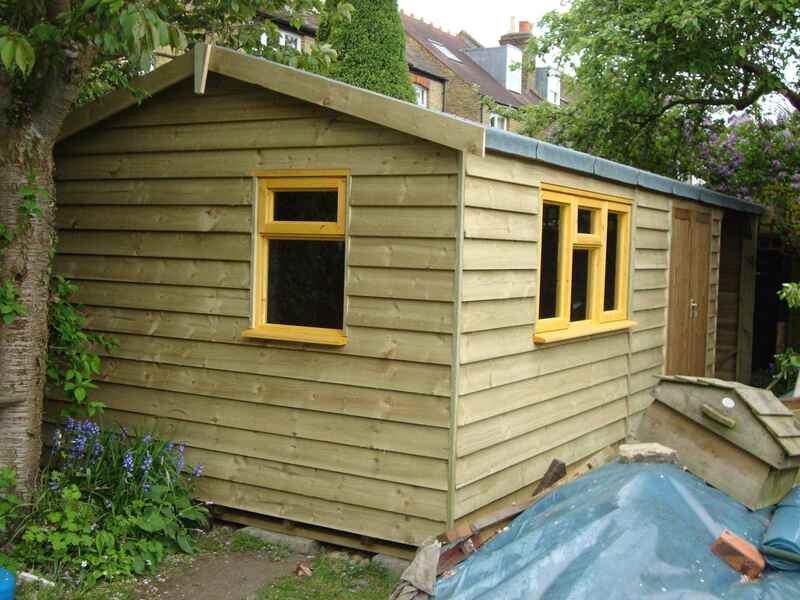 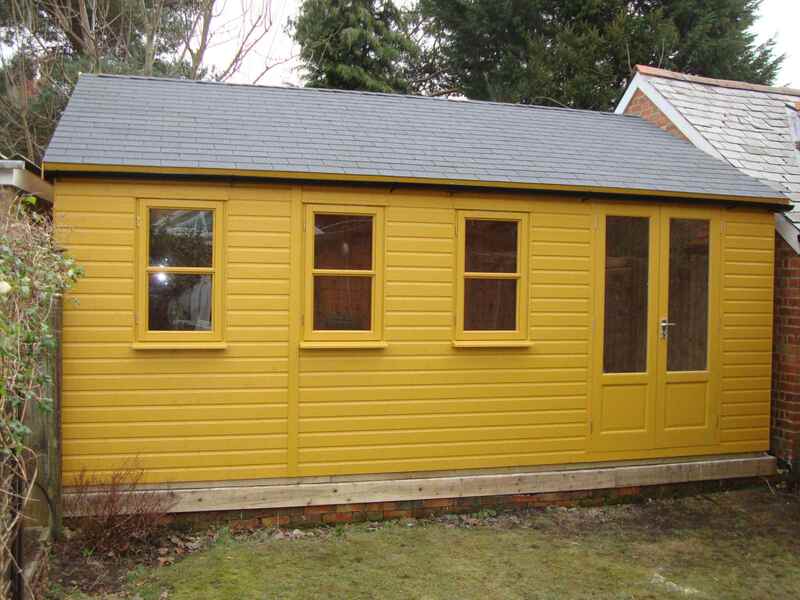 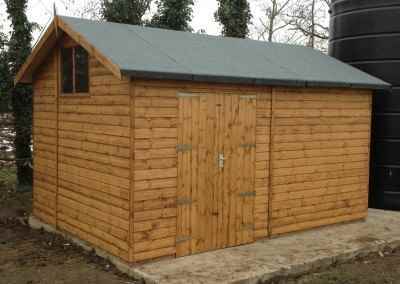 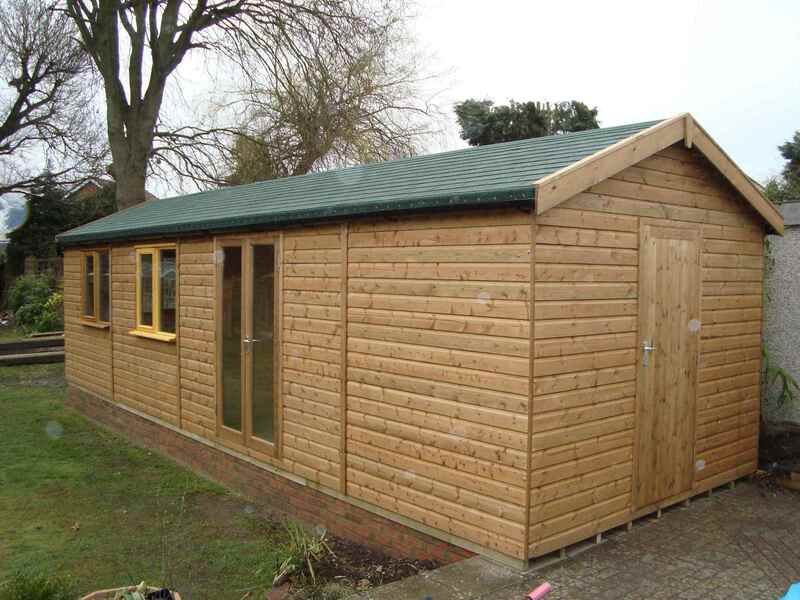 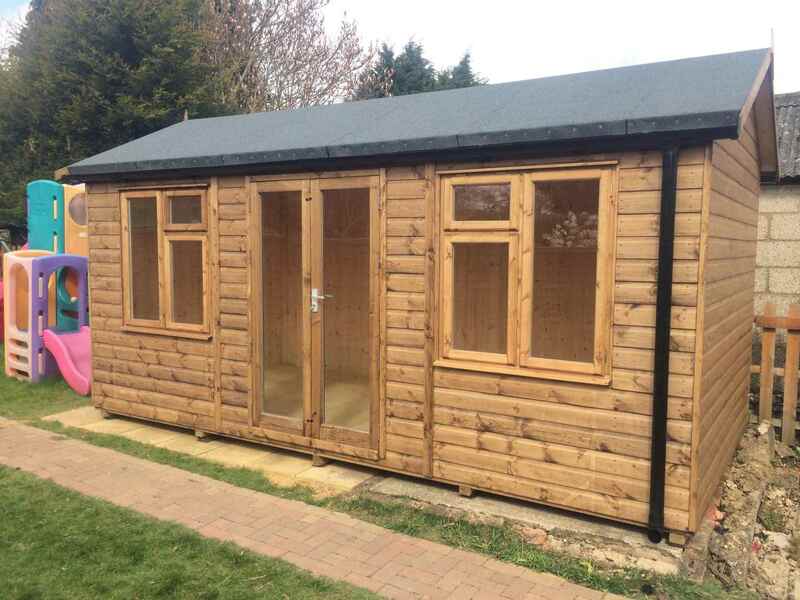 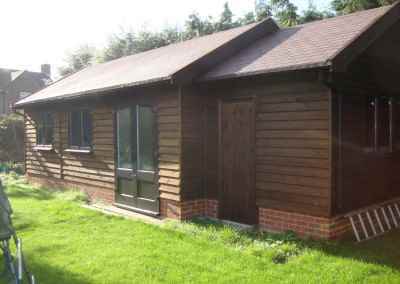 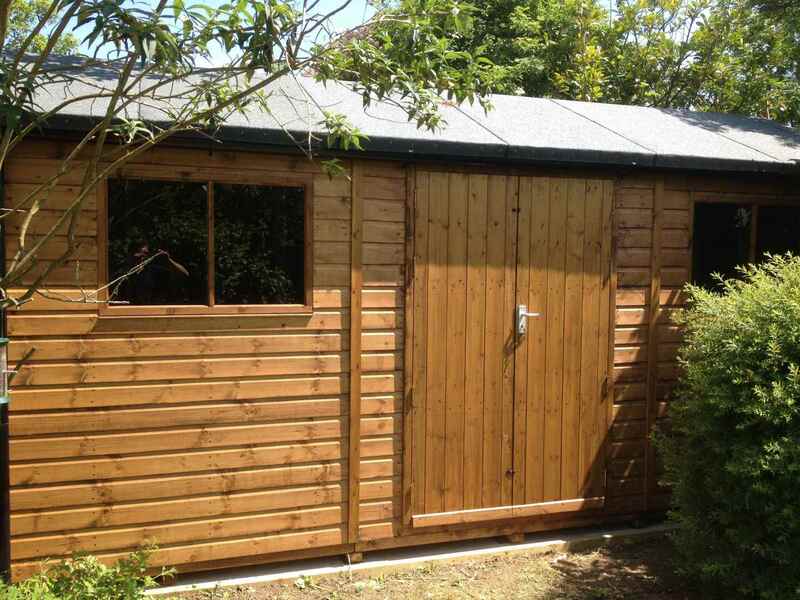 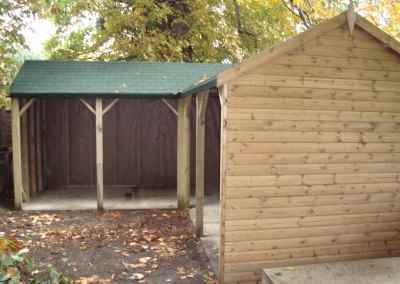 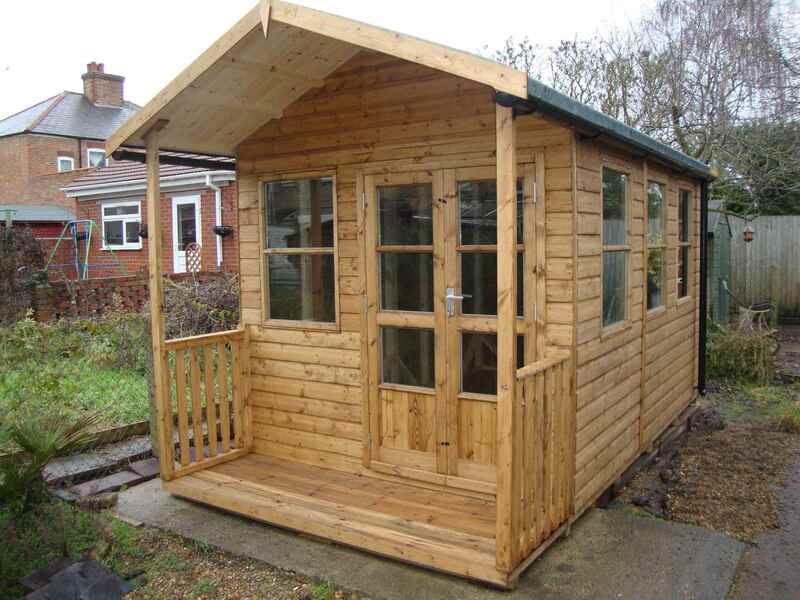 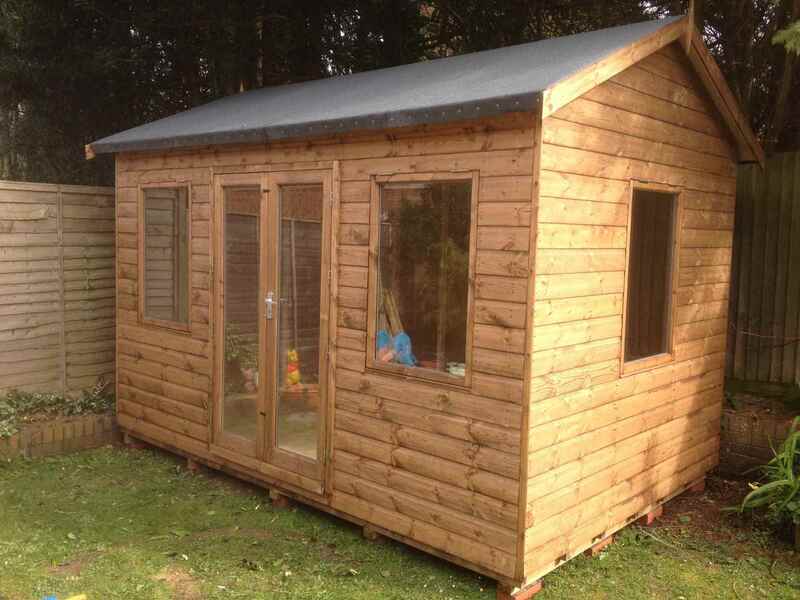 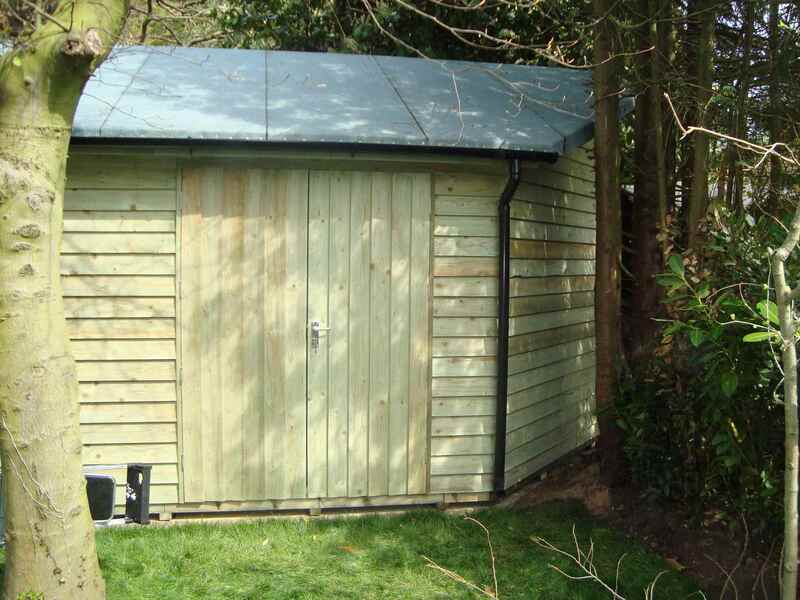 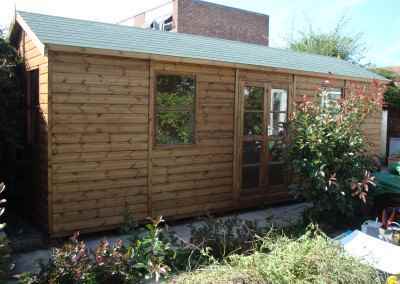 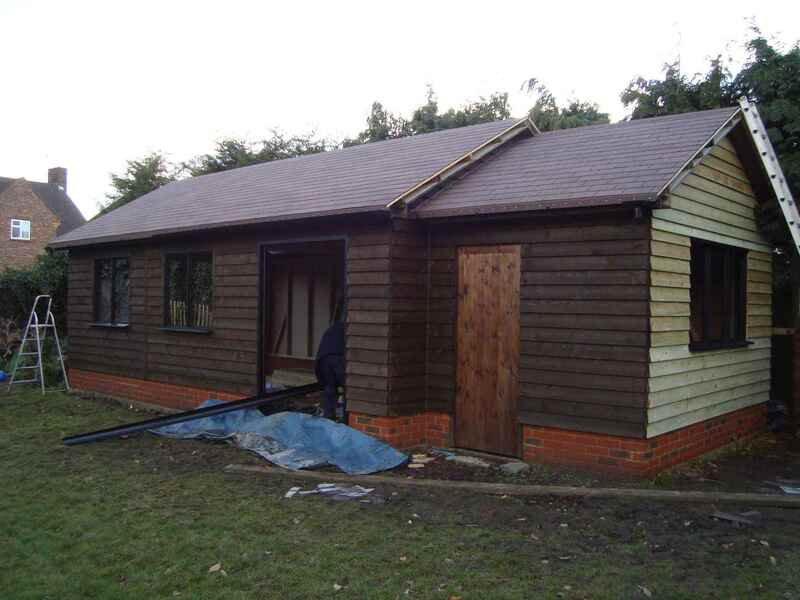 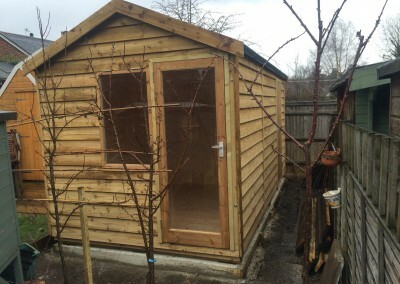 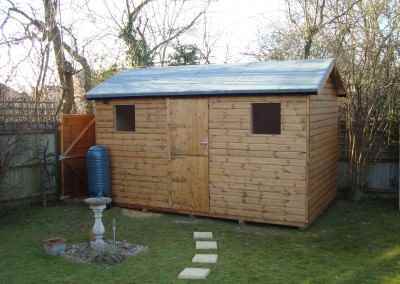 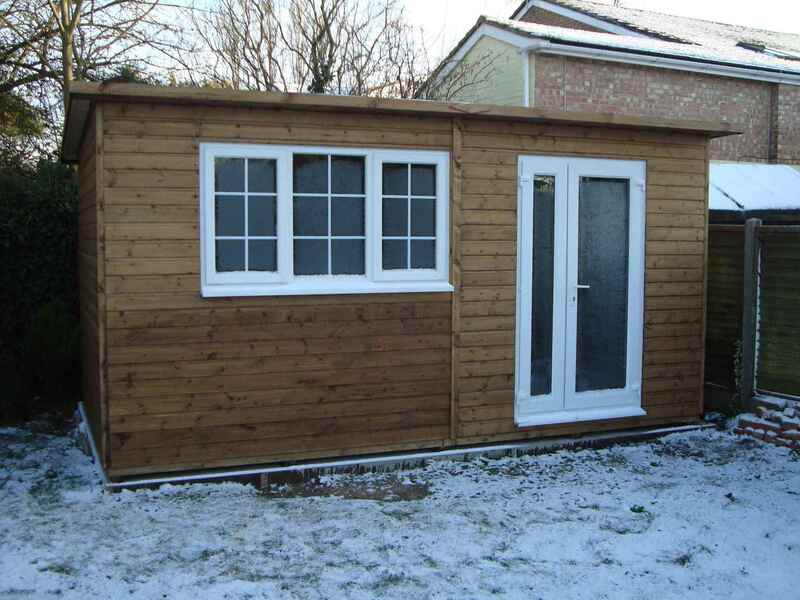 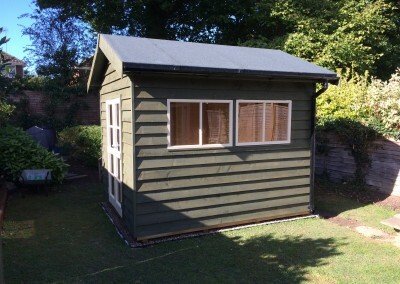 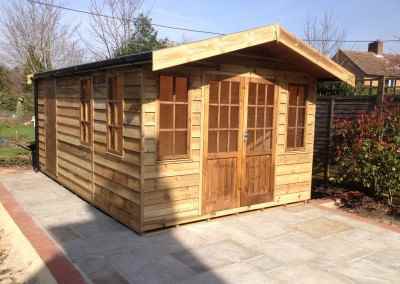 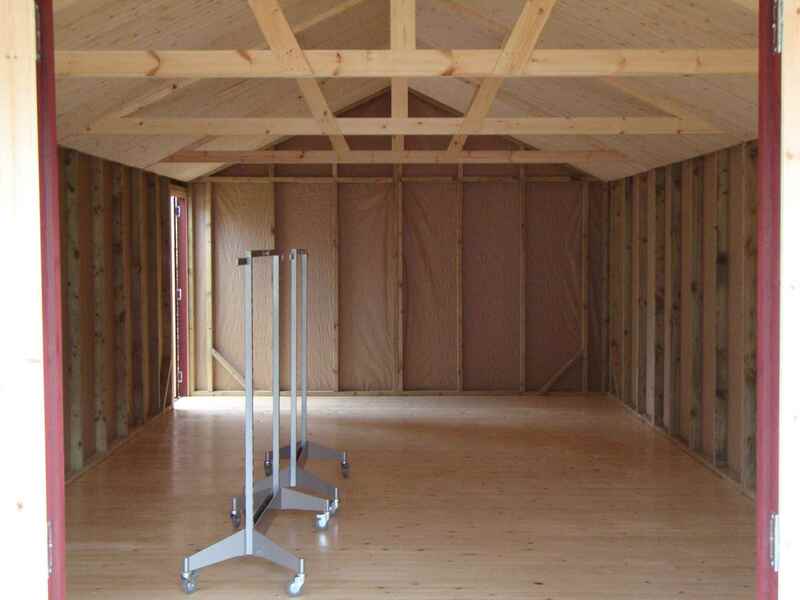 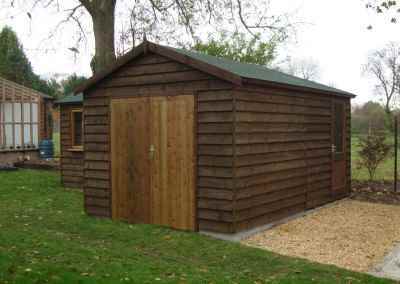 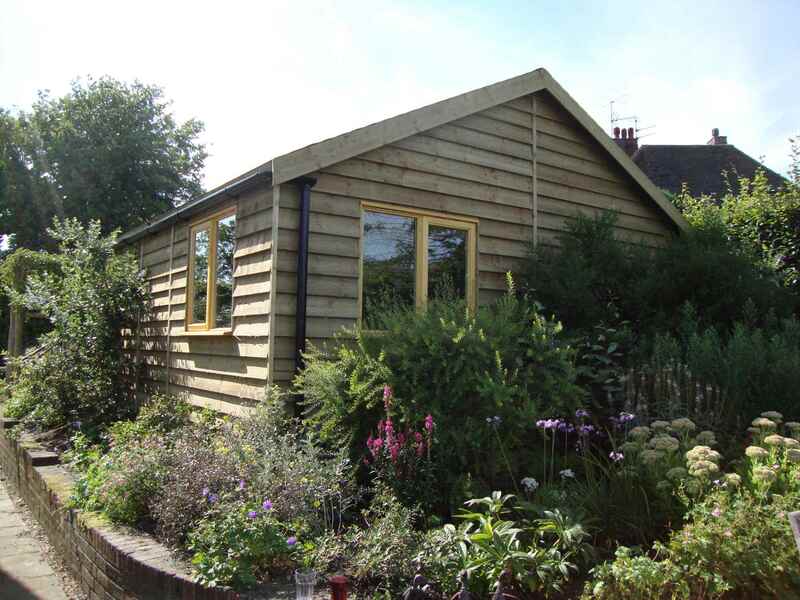 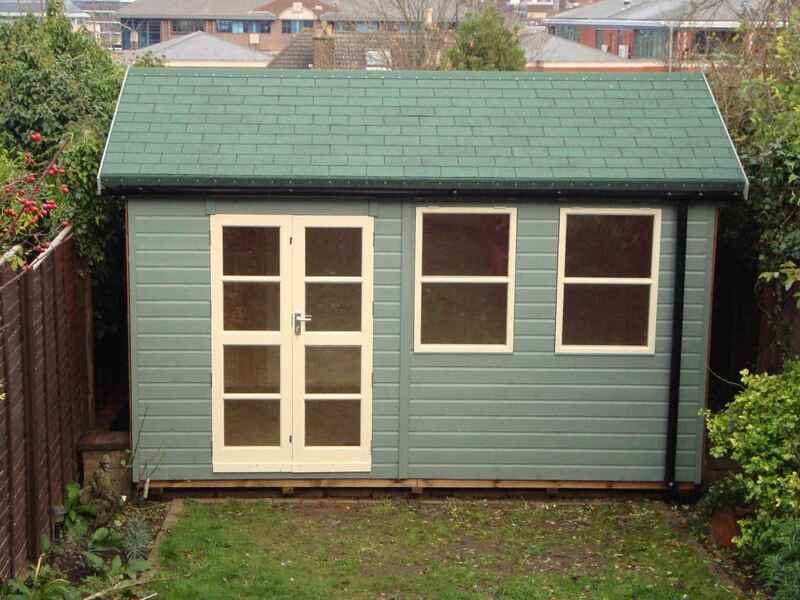 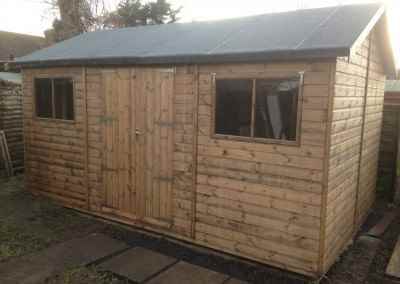 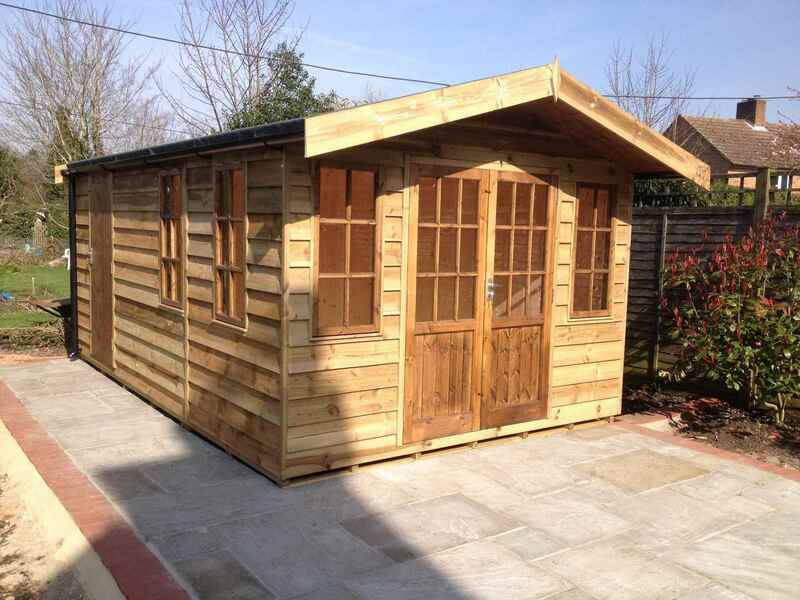 Heavy Duty Workshop 22×8 with Ascot Doors & Windows, Sash Windows and Seperate Shed Compartments and Guttering. 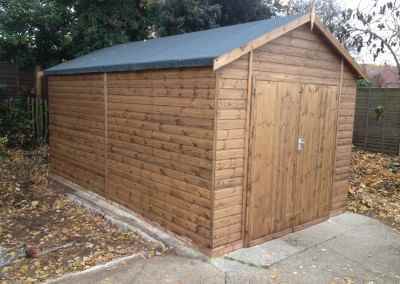 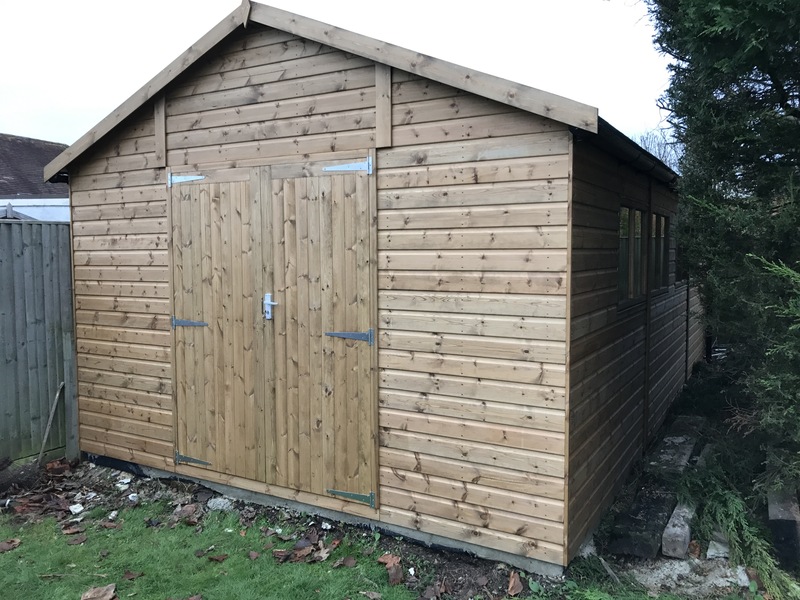 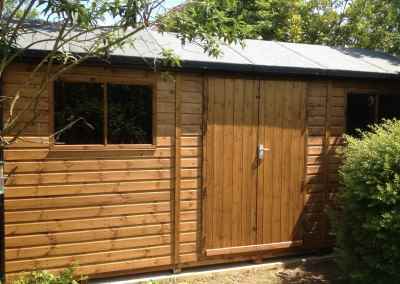 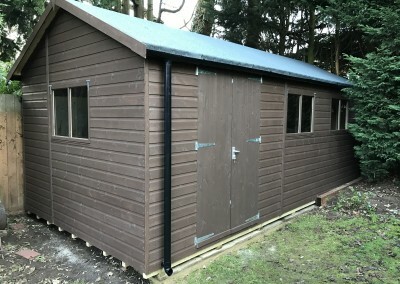 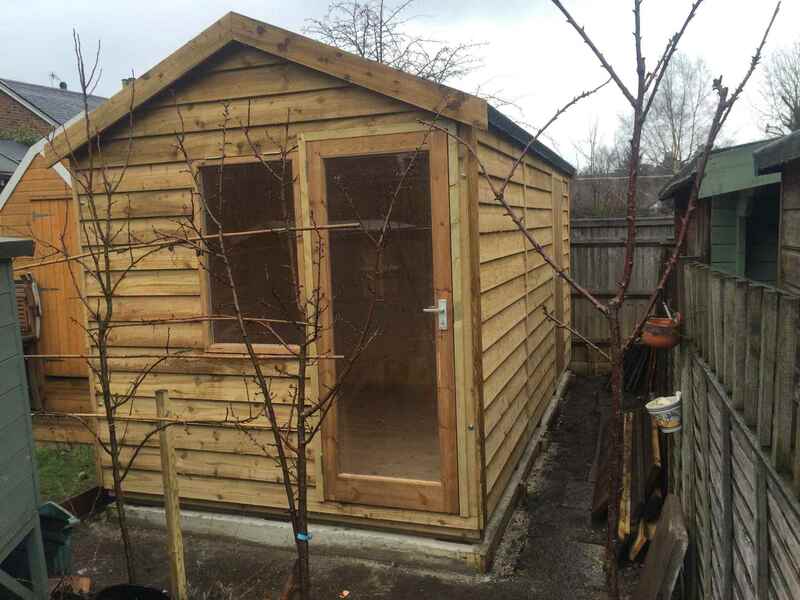 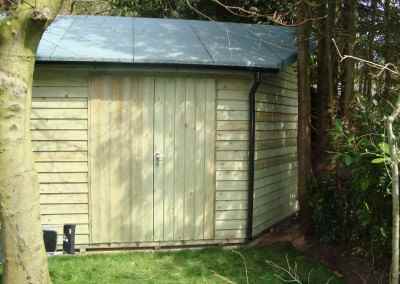 Heavy Duty Workshop 24×8 with 2 pairs of petersham doors and guttering. 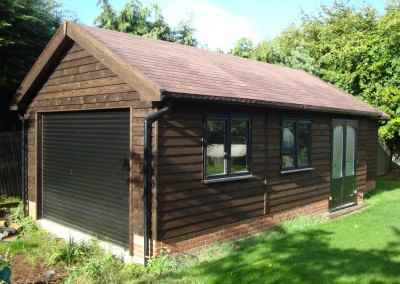 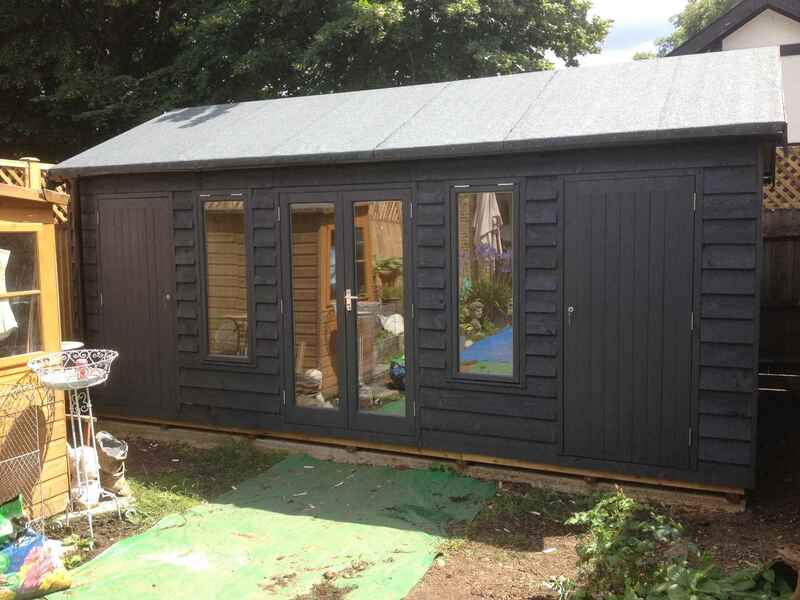 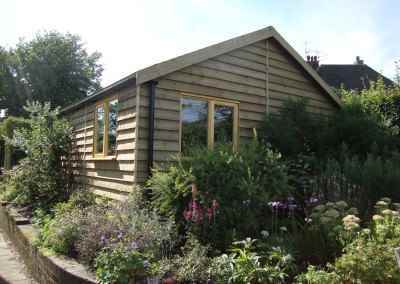 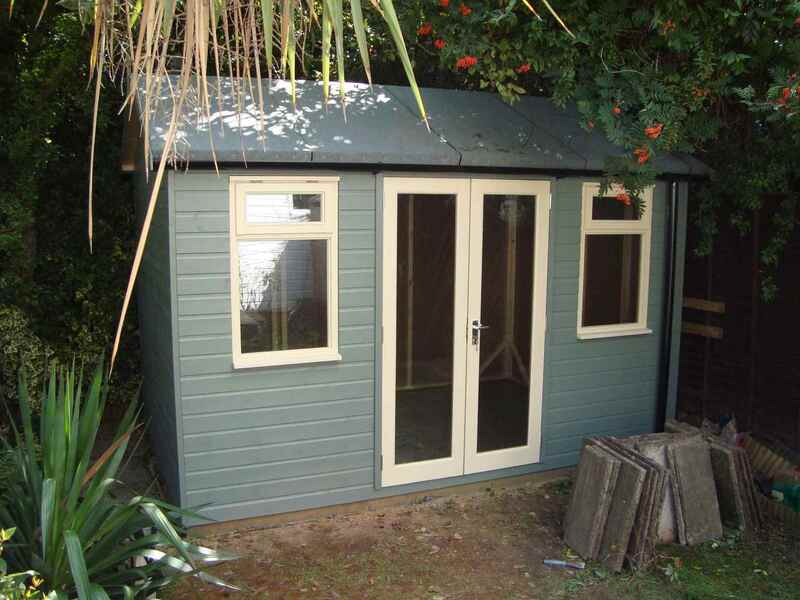 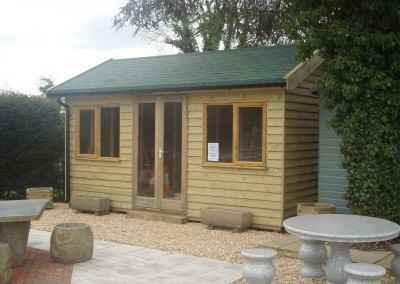 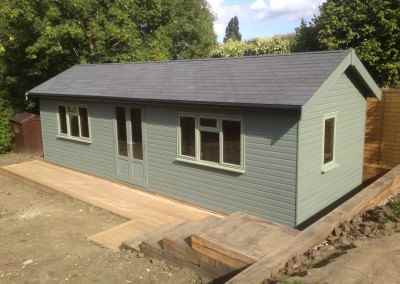 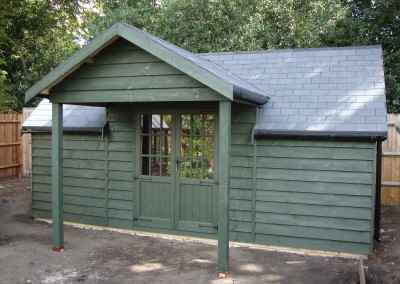 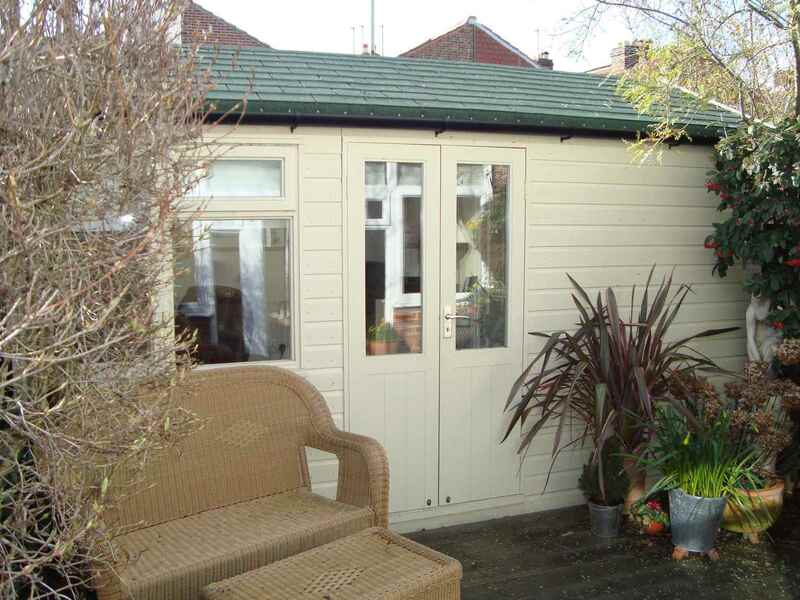 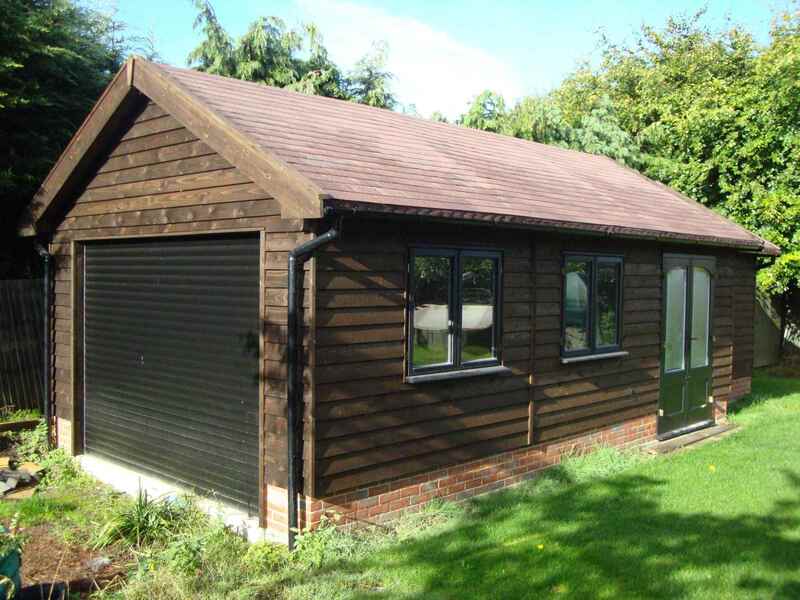 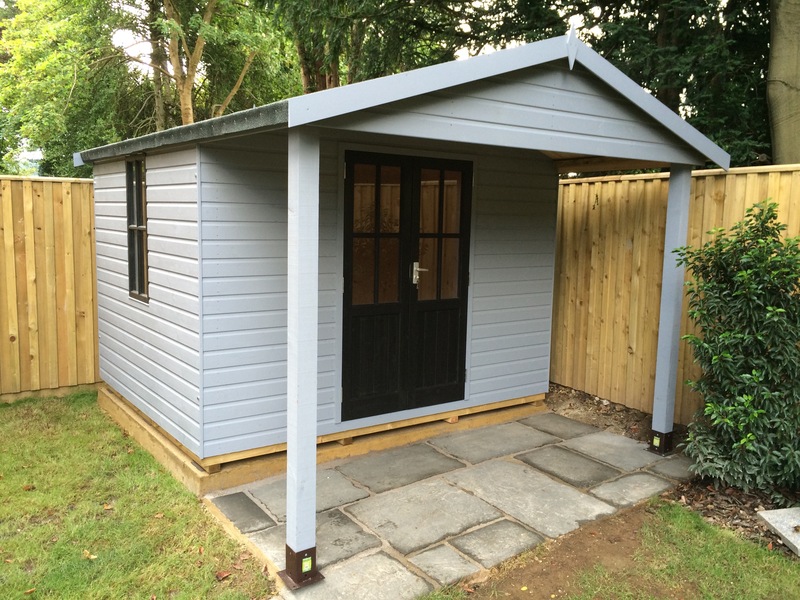 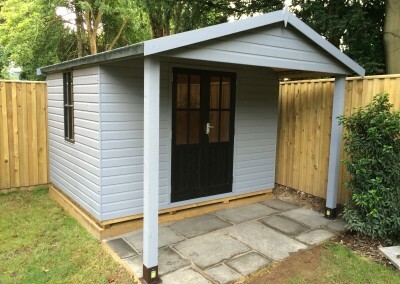 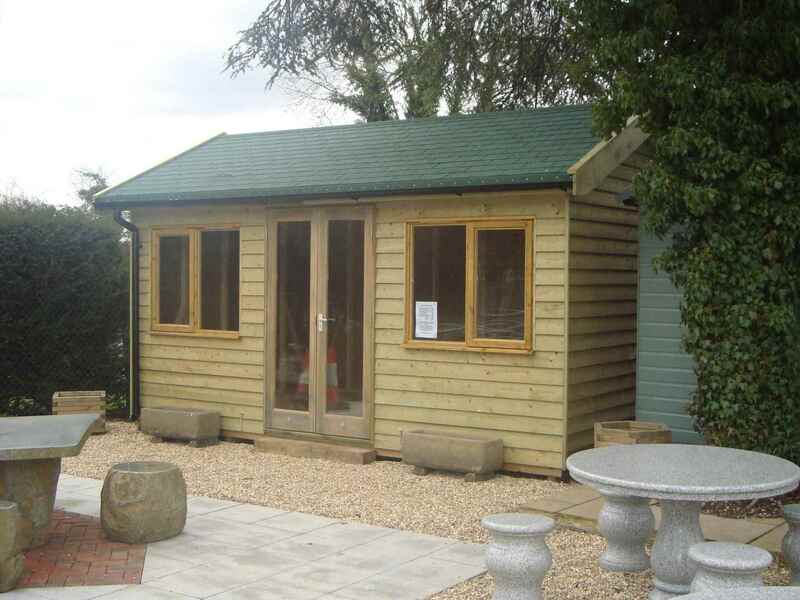 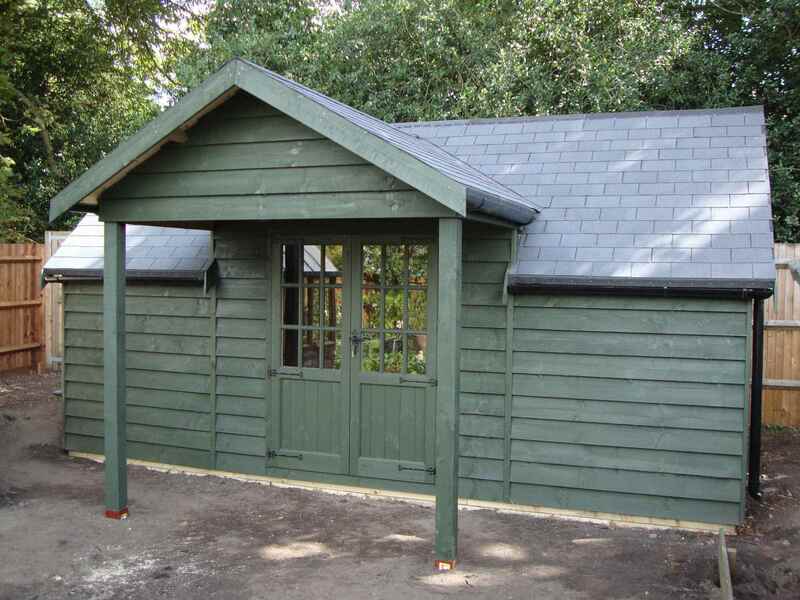 Heavy Duty Workshop 24×10 with Facia and Soffit Roof, Grey Felt Tiles, Joinery Doors and Windows with Painted Finish. 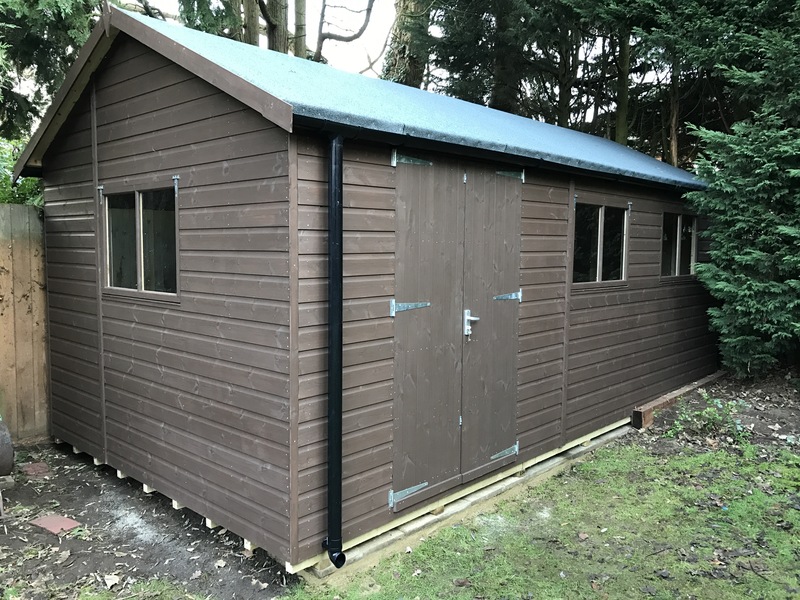 Heavy Duty Workshop with Windsor Doors, Bespoke Windows, Featheredge Cladding, Guttering, Seperate Sheds Compartments and Painted Finish.